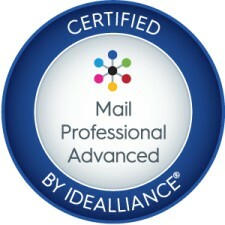 AccuZIP Continues to Gain Momentum in Achieving MailPro Certifications - Competitors Follow Suit | Company Newsroom of AccuZIP, Inc.
AccuZIP, Inc., a provides feature rich solutions to manage Contact Data Quality, Address Hygiene, USPS Postal Presorting and Compliance and Mail Tracking and Reporting. 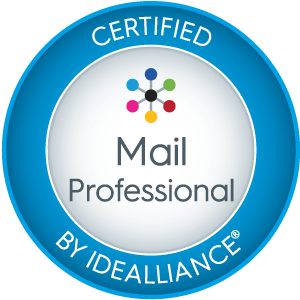 ATASCADERO, CA, August 23, 2016	(Newswire.com) - ​On May 18, 2016, Idealliance announced that they were introducing a Mail Professional Training Program (MailPro™), to the industry. AccuZIP team members were quick to embrace this certification program with Customer Care Specialist Mathew Little being the first in the Nation to obtain both the Fundamental and Advanced certifications. As of today, Nine (9) AccuZIP team members have achieved certification, Six (6) of whom have also gone on to achieve the MailPro Advanced Certification. The MailPro Fundamentals certification program is comprised of 13 lessons and is self-paced. It is available 24/7 to all registered students and is delivered on-line through as a series interactive video tutorials, study questions, and certification exams. The videos are narrated by expert instructors giving students access to industry leaders with more than 400 years of combined mailing industry experience. 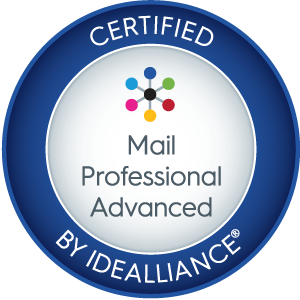 The MailPro Advanced certification consists of an additional 9 lessons and is delivered to the student in the same way as the fundamentals courses (on-line). In total, the two programs include over 11 hours of content for the students to review and be tested on. Sign up for email updates from AccuZIP, Inc..